TOKYO, Nov. 2, 2018 /PRNewswire/ -- Global digital asset platform Liquid today announced it has teamed up with U.S. digital asset exchange Gemini Trust Company, LLC ("Gemini") to bring much-needed liquidity and stability to the cryptocurrency space. The two have aligned on a vision for cryptocurrency that prioritises compliance, regulation and security. The Gemini dollar (GUSD) will be listed on Liquid, the flagship platform of global fintech company Quoine. Liquid was launched in September and already stands as one of the world's biggest fiat-crypto platforms by volume. Liquid will also tap into Gemini's liquidity for Liquid's External World Book, a global liquidity pool sourced from a network of crypto exchanges. The World Book is already active internally on Liquid for for select pairs, providing highly liquid order books for traders by matching orders under the hood. With the addition of GUSD, a regulated stablecoin with value pegged 1:1 to the U.S. dollar, Liquid is now more than ever at the forefront of cryptocurrency innovation and compliance. The U.S. dollars that back GUSD are held at the State Street Global Bank in the United States and eligible for federal deposit insurance coverage. The balance held by State Street is examined monthly by an independent, registered public account firm, with reports available to the public, while the smart contracts underlying the GUSD token have been audited and formally verified by an independent security firm, whose report is also publicly available. In addition, the multi-layered GUSD protocol brings a high level of security. "The Gemini dollar is an obvious choice for Liquid. Both Liquid and Gemini put transparency, regulation and compliance at the forefront of our operations. We are proud and honoured to be able to offer Liquid customers the opportunity to use a stablecoin that can stand up to regulatory scrutiny. We will now explore the opportunity to develop a JPY-pegged stablecoin," said Liquid CEO Mike Kayamori. GUSD will be tradeable on Liquid initially against Bitcoin and Ethereum with plans to expand to additional pairs in the near future. 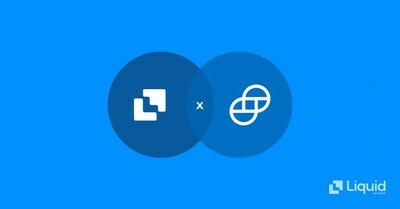 "We are excited to see Liquid's adoption of the Gemini dollar. We believe a truly regulated and transparent stablecoin is a huge step forward for the ecosystem and appreciate Liquid's support in bringing GUSD to their marketplace," said Gemini CEO Tyler Winklevoss. Stablecoins are an important part of the cryptocurrency ecosystem, giving traders flexibility to hedge against volatile markets and the ability to easily and safely move funds between platforms. Gemini Trust Company, LLC (Gemini) is a digital asset exchange and custodian that allows customers to buy, sell, and store digital assets such as bitcoin, ether and Zcash. Gemini is a New York trust company that is subject to the capital reserve requirements, cybersecurity requirements, and banking compliance standards set forth by the NYDFS. Gemini was founded in 2014, by brothers Cameron and Tyler Winklevoss, to build a bridge to the future of money. Gemini, in partnership with the Cboe Futures Exchange, LLC, launched the first-ever bitcoin futures contract in December of 2017. Gemini is also the world's first licensed exchange to offer trading and custody services for ether and Zcash, in addition to launching the first regulated stablecoin, the Gemini dollar. For more information, visit Gemini.com.